Planning your event can be a difficult task if it involves outside catering services, heavy furniture, vehicles, farm equipment, or any other product. How will your exhibitors know what they can or can’t take, how much room you will have, and how many people will fit in each room? Below is specific information about each room in the facility to help plan ahead and make sure your event runs smoothly. Please let us know if you have any questions about the facility and we will be happy to help. Our 10 meeting rooms range in size from 260 sq ft to 6745 sq ft. and can accommodate 10 to 650 with theatre style seating or 20 to 350 with banquet seating. 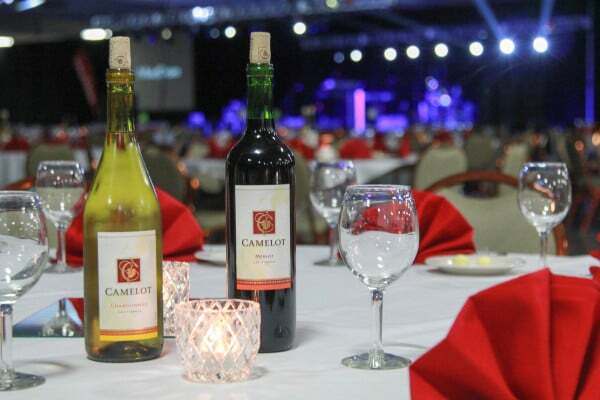 Perfect for a range of conference and banquet functions. The rooms can be rented individually or you can work with our Client Services Manager to tailor a setup just for you. Please click on the facility brochure link below for additional information. In addition to our meeting rooms we offer the story Grand Lobby that adds Kansas City flair for your registration needs, tabletop displays, and receptions. Interested in holding your meeting with us? The versatility of our Grand Hall has brought audiences center stage for everything from championship boxing and dance competitions to concerts and graduation ceremonies. We are experts in planning events ranging from consumer tradeshows to corporate conventions. We have the ability to seat 5200 theatre style or we offer portable bleacher seating to customize your event requirements. Please click on the facility brochure link below for additional information. Our exclusive in-house providers of Food and Beverage is Heart of America Catering, Image Technology our Audio Visual and Liberty Exposition Service is our preferred decorator. Security and printing services are also available. Learn more about our partners below. Liberty Exposition Services Inc. is a full-service general service contractor providing professional, creative and affordable solutions for conventions, tradeshows, corporate meetings and special events. Liberty Exposition Services Inc. provides total services from initial planning to the close of your event including floor plan design, signs and banners, promotional products, staging, and more. Image Technologies Corporation (ITC) is a full service meeting and event creative and production powerhouse, serving clients large, small and everything in between. ITC knows how to transform a meeting into a “show”. We are experts at scaling a meeting to properly fit the message and the audience…doing exactly what is necessary to meet the objectives set forth by our clients through Integrated Production Solutions. The KCI Expo Center has selected “The Best in the Industry” to serve you. Our exclusive in-house providers of Food and Beverage is Heart of America Catering. Burger Theory is the on-site restaurant next door to KCI Expo Center that seeks to provide a unique dining experience for all its customers. To learn more about the restaurant and look up hours, menus, and make a reservation, visit the Burger Theory website today!